Pastavy is the centre of the Pastavy district, Viciebsk region (Belarus), 250 km West of Viciebsk, a station on the railway line Viciebsk-Vilnius (Vilnia) in Lithuania. 1939- 1941 part of the Soviet Union, 1944 - 1990s part of the Soviet Union. #pstv-5:A group of girls at a well: (left to right) Sonia Strichanski, Slove Taudrese, Ronia Pergament, Chashe Mampil, unidentified. 1938. #pstv-16: Members of the Chaluts movement from the Zionist pioneering training commune (kibbutz hachshara) in Postavy. Photographed in 1933. Note: This pluga (unit) belonged to the movement's "Shachariya" bloc of hachsharot. #pstv-18: Members of the He - Chaluts movement from the Zionist pioneering training commune (kibbutz hachshara) in Postavy. Photographed on June 8, 1935. #pstv-19: Zionist pioneering training commune (kibbutz hachshara) in Postavy, who worked as porters and laborers hauling sacks. Photographed on July 11, 1934. #pstv-20: Pupils of the "Tarbut" school in Postavy, with several of their teachers. Photographed on May 16, 1930, the holiday of Lag B'Omer, before they went out to the forest to celebrate. The school principal's name was Chazan (first name unknown). Harry Riback married Shimon's daughter Bertha Reichel and they were my great-grandparents. Golda Dlot was born in Postavy in 1925. She perished in the Shoah in 1942. Myra Dlot was born in Postavy to Shmuel and Rivka. She perished in the holocaust. Dlot Sima was born in Postavy in 1934 to Shmuel Hyman and Rivka Beth. She perished in 1942. Slava Todres was born in Postawy, Poland in 1923 to Nutel and Mina. She was a teacher and single. Prior to WWII she lived in Postawy, Poland. During the war she was in Postawy, Poland. Slava was murdered in the Shoah. Tzipora Rabinowits nee Todres was born in Postawy, Poland in 1917 to Nutel and Mina. She was a store manager and married to Zalkind. Prior to WWII she lived in Postawy, Poland. During the war she was in Postawy, Poland. 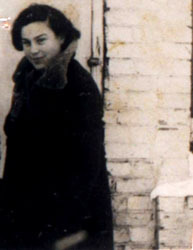 Tzipora was murdered in the Shoah. Notel Todres was born in Widze, Poland in 1895 to Yosef and Musia. He was a beverage store owner and married to Mina nee Zeidel. Prior to WWII he lived in Postawy, Poland. During the war he was in Postawy, Poland. Notel was murdered in the Shoah. This information is based on a Page of Testimony (displayed here) submitted by his son, Meir Todres"
Khanokh was murdered in the Shoah. Khaia Todres was born in Postow, Poland in 1919 to Nutel and Mina. She was a seamstress and single. Prior to WWII she lived in Postow, Poland. During the war she was in Postow, Poland. Khaia was murdered in the Shoah. Plisa, Postovy, Sharkovshina, finally Luzhek. Postavy (in belarussian - Pastavy), now - the center of Pastavy district in Vitebsk region (250 km from Vitebsk). 15.4 thousnad inhabitants (1974). The first mention of Pastavy is in 1522. During 16-18th centuries Pastavy was a part of Ashmyany Povet (Vilna voevodstvo) in the Grand Duchy of Lithuania nad in Rech Pospolitaya (union of Grand Duchy and Polish kingdom). This town was owned by Despat-Zyanovichy and later by famous political leader Tythengaus. Since 1793 Pastavy - a part of Russian Empire. According to 1847 revision Pastavy Jewish community had 551 members. The results of famous Russian sensus of 1897 are: 2397 inhabitants in Pastavy - 1310 - Jews. During 1921-39 Pastawy was a part of Polish State, since 1939 - Soviet. In June 1941 the Nazi Germany occupied Pastavy. The town was liberated only in 5th of July 1944. In Postawy the Nazi organized a ghetto. 4.000 Jews were crowded in the small ghetto. In November 1942 a ghetto was destroyed. The Nazis raped women in front of their husbands, parents and children. After this they killed all the Jews. The Jews who hid in the houses were burned alive. A woman, her name was Wayner, run away. The fascists seized her with 5-month baby and on her eyes smashed him. They cut off her breasts, broke the hands and the legs, and after it shot her. This was the tragic end of the Jewish shtetl Pastavy. Go to the links to see pictures and full text. Our new acquaintance graciously answered our many questions. Yes, there had been Jews in Postov. Only one person was left who had lived there before World War II. He was a friend. She would phone him to come over. Would we like to come in? The phone call took place in Russian, which I don't understand. I heard, "...Gendel. Gendel... Gendel... Gendel." I was confused. How did she know that my mother's family name was Gendel? Our translator, Amelia, set me straight. The name of the Jewish man to whom she spoke was Gendel. He would be coming shortly. I was perplexed. How could he have my mother's name? The wait seemed longer than it was. Yes, his name was Gendel, Schner Gendel. He knew our family. It is his family as well. He is our fourth cousin once removed. His father's brother had been an apprentice to my grandfather, Shalom Gendel, the blacksmith. He also knew my father's family, but not well. Abrosheke Zuckerman, my cousin (my father's sister's son), had been his age. Shifra wanted to know how Schner had survived. Abrosheke had been greatly looked up to by a younger Shifra. She wondered over and over why Schner survived and Abrosheke, at the age of 16, had gone to his death with his grandparents, parents and younger sister. Yes, he knew what had happened to them. He would take us to the place and tell us the story. He would show us around. When the war was over, returning Jews found scattered human bones under bushes and next to the roads. The returning men and women gathered these bones into two mass graves and encircled the area with broken gravestone fragments from the desecrated Jewish cemetery. We found deep red alpine strawberries growing wild in another area of this yard. When my son Gideon stooped to pick one, he found a spine bone planted in the soil. A watching survivor said to him, "That berry, it is painted with the blood or our ancestors." Shimon's daughter Bertha Reichel and they were my great-grandparents. I just happened across your website, and it’s very impressive. My husband’s grandmother, Ida (Chaia Gittel) FEIGEL (changed to FOGEL in the US) LIN (changed to LYNN in the US), came from Postavy, Riga, and Vilna. She was born in Postavy. They emigrated to the Chicago area. Her father’s name was Isaac/Isaak/Yitzchak/Itzhak or possibly Aizik FEIGEL, and his wife was Sarah. He was born in Vilna or Riga. Her brothers were Henach/Henry, Leo/Labl, and Josef. I’m not sure whether they were born in Vilna, Riga, or Postavy. Henry emigrated to Chicago. Please let me know if any of these names sound familiar.